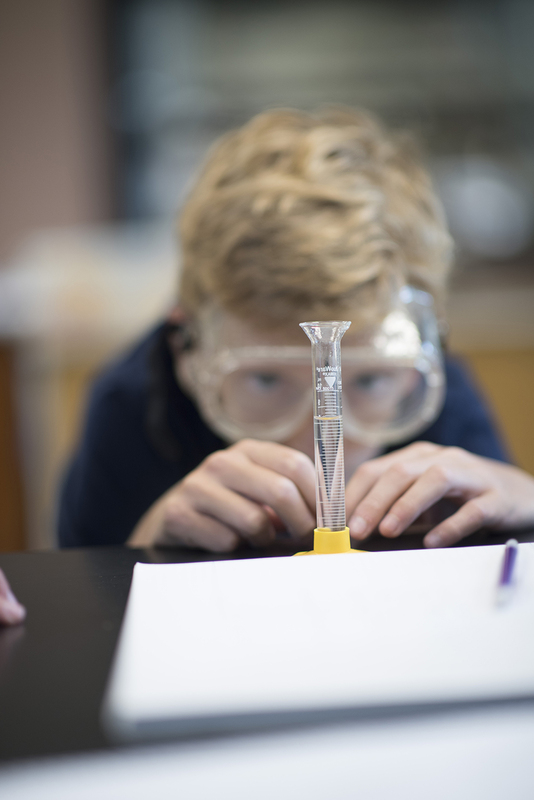 The Upper School is a four-year journey of intellectual and personal growth toward greater independence, and every grade level has its own developmental themes and highlights. Explore each of the four years of the Upper School, below. 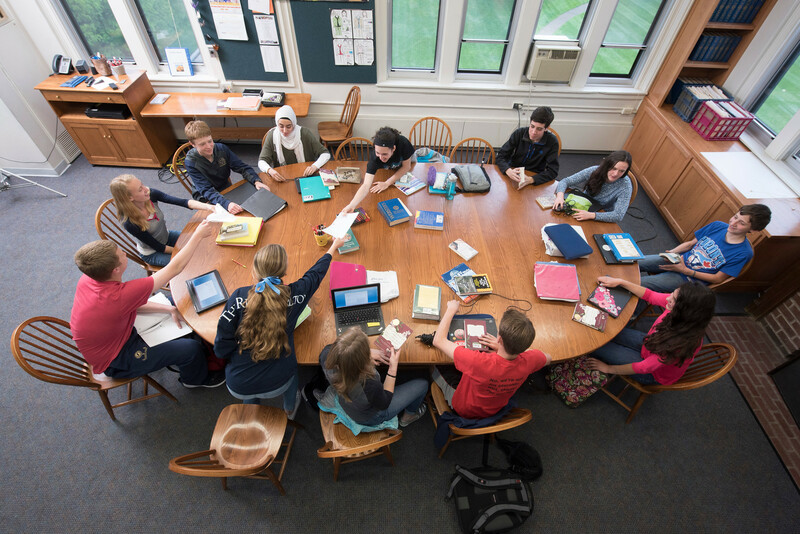 Grade 9 is an entry year, and is carefully structured to help all students make a successful transition to the Upper School, whether they are coming from the Middle School at SPA or from a different school. Orientation activities for both students and parents take place throughout the first part of the year. The Grade 9 teaching team intentionally focuses on and reinforces learning strategies as well as skills specific to their discipline, and by the end of Grade 9, most students really know how to “do school” effectively at SPA. In Grade 9, students have increased choices in terms of their elective courses, their interest in student leadership and organizations, and their co-curricular activities. All Grade 9 students are scheduled into proctored study halls during non-class periods, but they also begin to make decisions around their use of unscheduled time during some X periods, lunch, and at the end of study halls (which do not take up a full class block). Learn more about the six-day block schedule. Parent roles are always important but begin to change in Grade 9. Whereas with younger students a parent may have contacted a teacher directly to ask a question on behalf of a student, in ninth grade we encourage students to take this initiative themselves. Parents may help students problem-solve, encourage students to seek out teachers, help students plan ahead and make choices, and secure support services if appropriate. On average, teachers assign 45 minutes of homework per class for each subject. We all understand, of course, that some students will be able to complete their homework more quickly than this average, while some students may take longer than the average. Because classes meet every other day, students can (and need to) plan ahead to get their work done for each class. In most cases, students are best served by doing their homework on the night it is assigned, so they can check in with their teacher the next day if they have questions. Grade 10 functions as a "bridge" between the support of the Grade 9 entry year and the increasingly rigorous curriculum of the junior and senior years. Teachers ask students to demonstrate consistency and continue to refine the student skills they developed the previous year, while the curriculum challenges students to think more abstractly and analytically. In Grade 10, students have increased independence as well as responsibility. Students who are not in class do not have a required study hall to attend; they may choose how and where to spend their free time. Grade 10 also brings an emphasis on teacher-student mentoring, with the expectation that students will use their increased freedom to work closely and proactively with their teachers. Beyond the school, many students this age begin to drive, resulting in even more freedom and the increased need to make responsible choices. Developmental themes in Grade 10 correspond to the frequent questions students have at this age about identity: “Who am I? Where do I fit in the community? How do I balance independence and responsibility?” Our program intentionally addresses these developmental themes. The required quarter of Grade 10 Wellness helps students explore many social/emotional issues and choices, and the Grade 10 retreat focuses on issues of community: both the community within the class and the larger community beyond SPA. Grade 10 is an excellent year for students to find their place in the school community, whether through student leadership and interest groups, drama productions or music ensembles, debate or journalism programs, or athletics. Parent roles are no less important, but tend to become more “off stage.” Whereas with younger students a parent may have contacted a teacher directly to ask a question on behalf of a student, in Grade 10 we encourage students to take this initiative themselves. Parents may help students problem-solve, encourage students to seek out teachers, help students plan ahead and make choices, and secure support services if appropriate. In Grade 11, students take an important step up to an appropriately more challenging academic program that demands more independent student responsibility, maturity, and intellectual sophistication. The junior year offers students more independence in their academic program and overall life at school. Juniors are able to choose their advisor to a greater extent than younger students. Often students remain with the same advisor for both junior and senior years, enabling them to deepen the relationship between student and advisor. Many juniors take on community leadership roles during this year, whether through athletics, drama, debate, journalism, yearbook, or a variety of student organizations. During the month of May, and with parental permission, juniors in good academic standing may sign out and go off campus during free periods. The college search process begins in earnest the junior year. During the fall semester, the college counselors begin to provide students with general advice and information during class meetings and small-group student meetings. Students and their parents attend a College Evening kick-off event, usually in January, featuring guest speakers. Throughout the spring semester college counselors meet individually with students and families to begin to explore student interests, college possibilities, and application guidelines. The Junior Retreat, a two-night overnight in the spring, is a signature event for students. For each class, this retreat is an important experience, serving to help students bond as class and look ahead to their role as seniors in the coming year. Rituals on the Junior Retreat include a letter from parents, selecting the sequence for Senior Speeches, and a candlelight ceremony at which students can speak authentically to their peers. Soon after returning from the Junior Retreat the seniors leave campus to pursue their Senior Project, enabling the juniors to step into school leadership roles during the month of May. Developmental themes in Grade 11 often focus on issues of identity, autonomy and leadership. Students this age increasingly students turn to their friends (rather than parents) for emotional support, and questions of identity—“Who am I? What are my values and priorities? What are my choices?”—are especially salient both within the academic and social world of SPA and in guiding the college search process. Adults may feel a “push/pull" dynamic with juniors as they assert their need for greater autonomy yet at the same time need clear and consistent boundaries from teachers and parents. Grade 12 is a year of engagement, autonomy, and transition. The curriculum demands independent student responsibility, maturity and intellectual sophistication. In selecting courses for the senior year, students have more freedom to shape their academic program to focus on their individual passions and talents. Many senior courses are taught as seminars, requiring significant student participation, research, writing and oral presentations. These capstone courses further enhance preparation for college, as does the more collegial relationships seniors develop with their teachers. 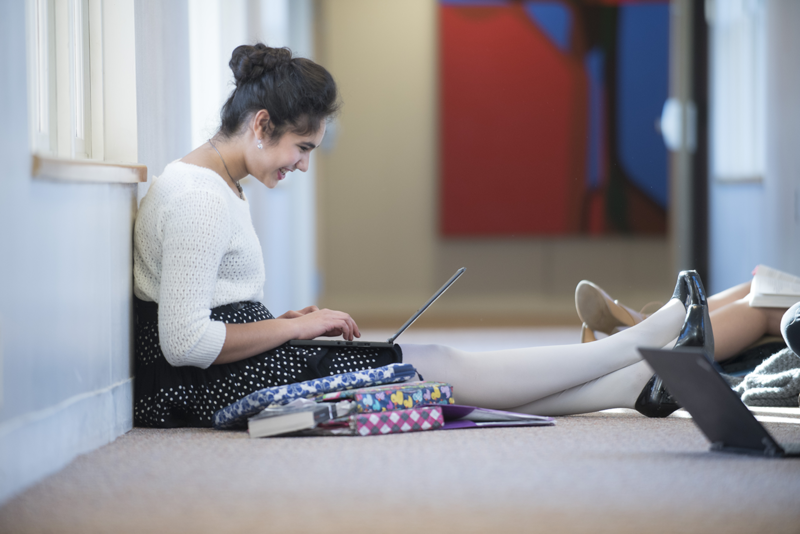 The college search and decision process is a significant piece of the senior year. Especially in the second semester, many seniors focus on the transition they will soon make, anticipating leaving their school and home communities and working to create closure with family, school, and friends. The senior year includes two capstone experiences: the Senior Speech and the Senior Project. Every member of the senior class writes and delivers a Senior Speech to the SPA community at an assembly attended by teachers, parents, and the entire Upper School. The Senior Speech is a rite of passage, a time to share personal insights, observations and reflections in a public, supportive forum. Seniors complete their classes in April of the senior year, and then spend the month of May completing their Senior Project: an independent work experience often consisting of an internship or hands-on career exploration. Seniors also perform community service and fulfill senior roles in campus organizations during the Senior Project.